In some articles I have already talked about wood flooring types when I invited to take excursion into the forest, but this topic is so broad that I decided to add another post. The person who works on the floor installation needs to be familiar with the material in which he will install. In opening the secrets of each type of hardwood, you will discover the most efficient path to its successful installation. Wood types and wood flooring types each have slightly different concepts, and the beginner floor installer can very easily get confused. But if you’re seriously interested in this job, you just need to understand the different types of wood and floors. This knowledge will help your customers to make the right choice, and you’ll receive profitable projects from them. So, one of the types of hardwood is solid wood. This type of flooring is made from a homogeneous piece of wood and has no additives. Solid wood is available as prefinished and unfinished. Parquet is made from the solid wood, for which manufacturers produce the boards of the same length and width. Parquet is somewhat different than the usual hardwood floor, as it has a certain geometric pattern. 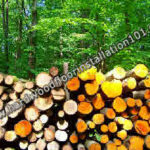 You can install ready-made hardwood boards, laying short pieces of wood by yourself, keeping the customer’s order in view. This job requires a lot of attention, accuracy and skill, but the return profit is high. Strip flooring is also made from solid wood. The width and thickness of these boards varies by manufacturer. It comes with a width of 1.5 inch, 2 and 2 ¼ inches. The height of the strip flooring is from 5/16 to ¾ inch. It can be installed by all methods, but preference is given to two of them – nail down and glue down. In order to keep busy and not miss profitable projects with strip floors, you should have a set of nail guns, in order to shoot nails with different sizes. You should have them just in case the client wishes to install strip boards by nail down. 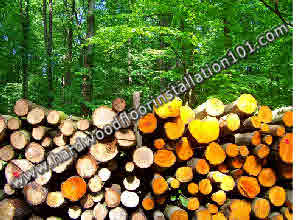 Note that the installation of narrow and short pieces of wood will take much more time and effort. Typically, the cost of this work is much higher than the installation of larger boards. Plank flooring is also made from solid wood. Its height is ½ or ¾ inches; the width can vary from 3 to 8 inches. Engineered hardwood floor is another wood flooring type. In contrast to solid wood, it is made in factory conditions by sticking flat layers together, the upper layer of which is natural wood. This material is available in ready to install form – prefinished or unfinished. The thickness of the wood in engineered hardwood flooring may be 1/8 and ¼ inch. It can be installed in three ways – by nail down, glue down and as a floating floor. The glue down method is getting more popular among customers who want to install this type of hardwood. Experienced floor installers recommend newbie’s gain experience with all wood flooring types, along with learning the different preferences and price range of customers. Deciding what type of floor is best for your installation comes only with experience and practice. For more info on wood flooring types read other our posts and articles on this site.